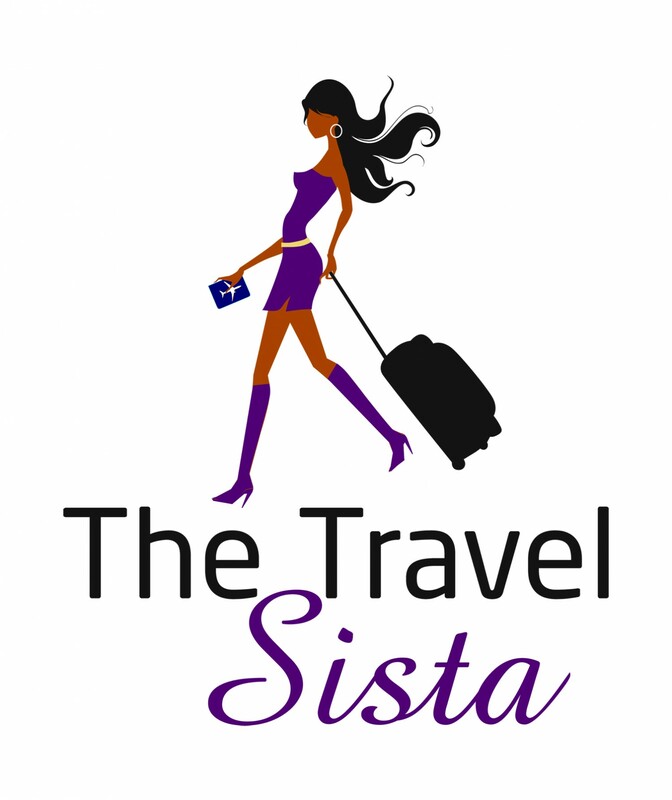 Fresh off the heels of Italy and Croatia (and still a bit jet lagged), I went to my first travel bloggers conference, TBEX in Cancun, Mexico. 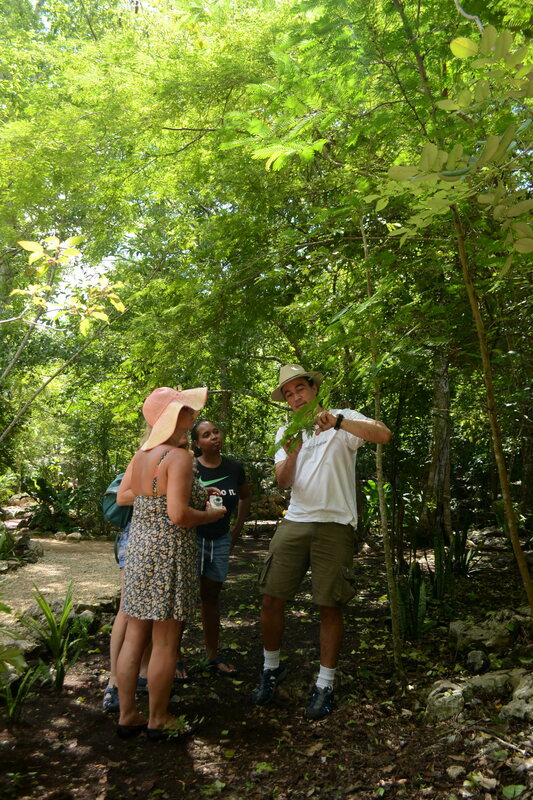 As part of the pre-conference activities, I went on a Cultural Mayaville tour sponsored by Alltournative, an operator of eco-archaeological expeditions in Quintana Roo and the Yucatan. My interest in exploring different cultures prompted me to choose this tour among the many activities offered. Our guide Riaz picked me up from my hotel bright and early at 7:45 am. 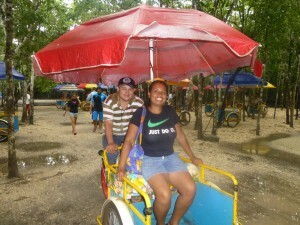 After collecting two more participants, we headed out for the 1.5 hour ride to the Mayan villages. Over the course of the morning, we visited three. 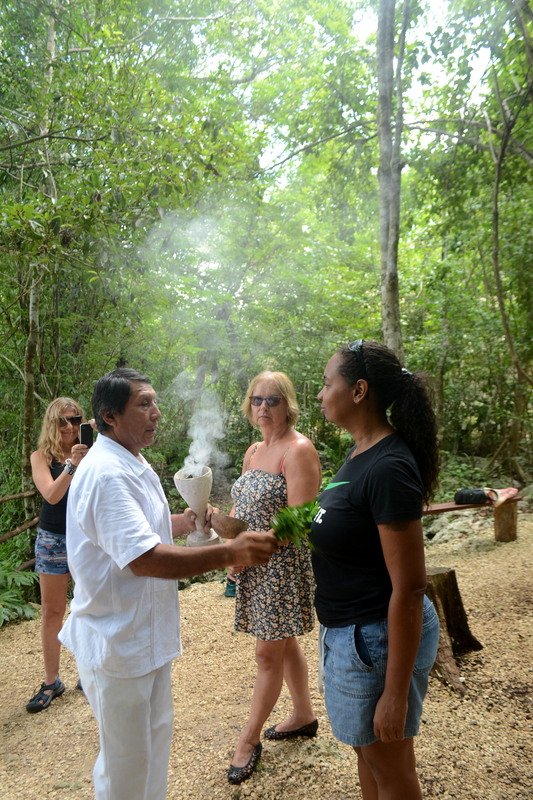 The first was Esmeralda, where were greeted by several villagers and a local Shaman, a religious healer who performed a blessing ceremony for us using copal incense. After the brief ceremony, we walked around the grounds viewing various indigenous plants while Riaz told us about their medicinal and food uses. We then walked down an underground stairway to see a cenote, a natural sinkhole filled with clear, fresh water. I didn’t swim, but I did stick my feet into the warm waters. Our next stop was Laguna Chabela, where we met the Santos family who has lived in this secluded community for several generations. 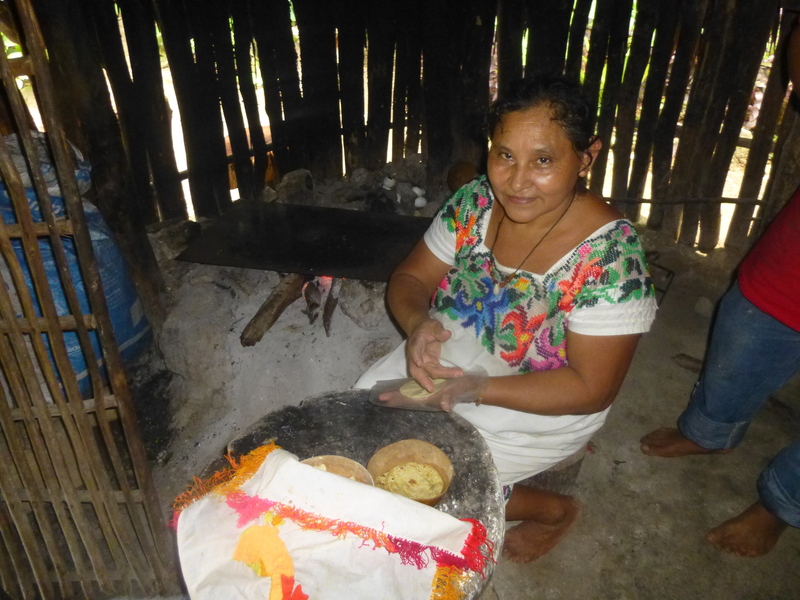 They welcomed us into their home and introduced us to the mother Aurelia and her daughter-in-law, both of whom were cooking breakfast. 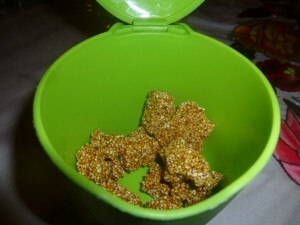 As we walked around the property, we learned how they completely live off the land. 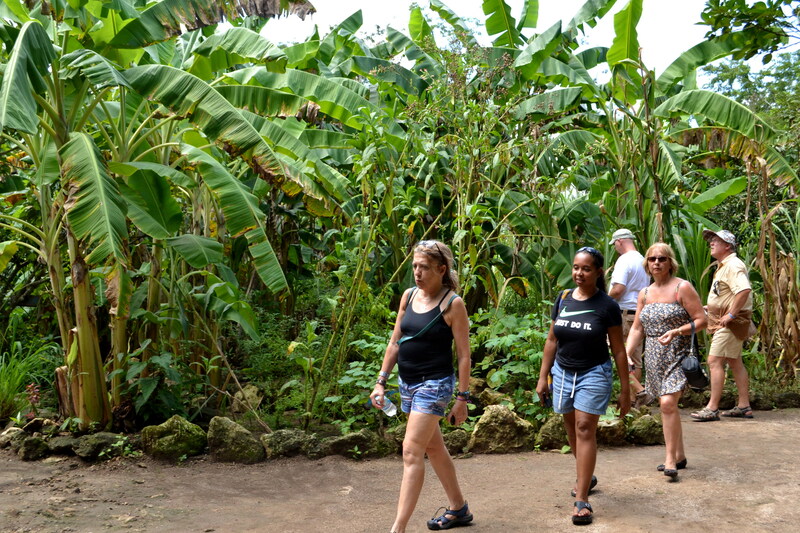 The grounds were fascinating, with an abundance of lush vegetable, fruit and spice plants. They also had several huge turkeys. 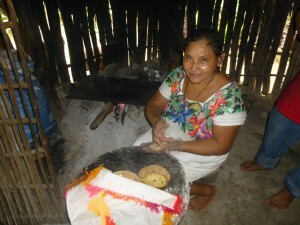 Before we left, Aurelia cooked fresh, hand-made corn tortillas for us – they were delicious. Our last stop was Tres Reyes, where we saw the community church and plaza. 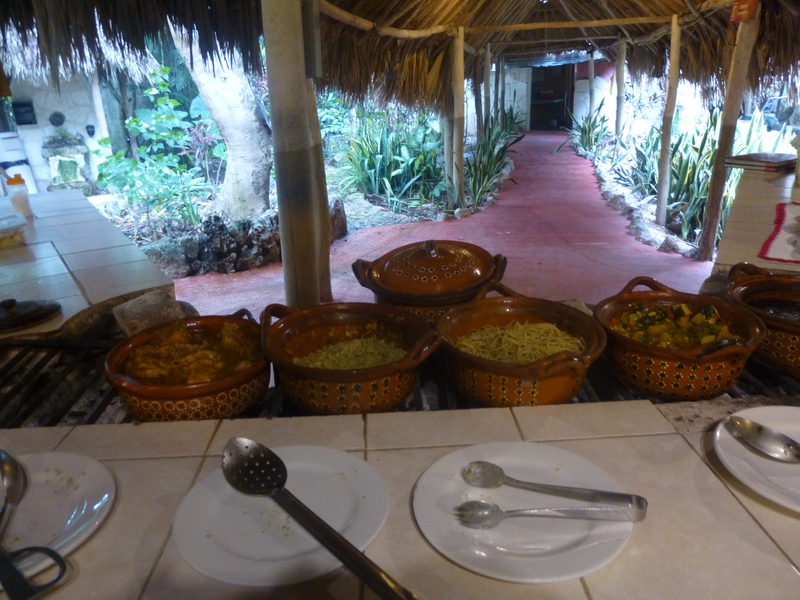 There, we were treated to a Mayan lunch buffet of fresh vegetable soup, chicken, rice and beans, pasta, hand-made tortillas, and a desert, the name of which escapes me (it looked and tasted like a granola). To drink, we had a hibiscus tea and a green juice, both of which were delicious. It was cool to learn the food and drinks were prepared with some of the plants we’d seen earlier. After lunch, we headed to the Mayan ruins of Coba. 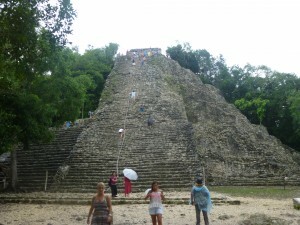 Located around two lagoons and a jungle, Coba is not as well known as Chichen Itza, the more famous Mayan site recently named as a one of the New Seven World Wonders. 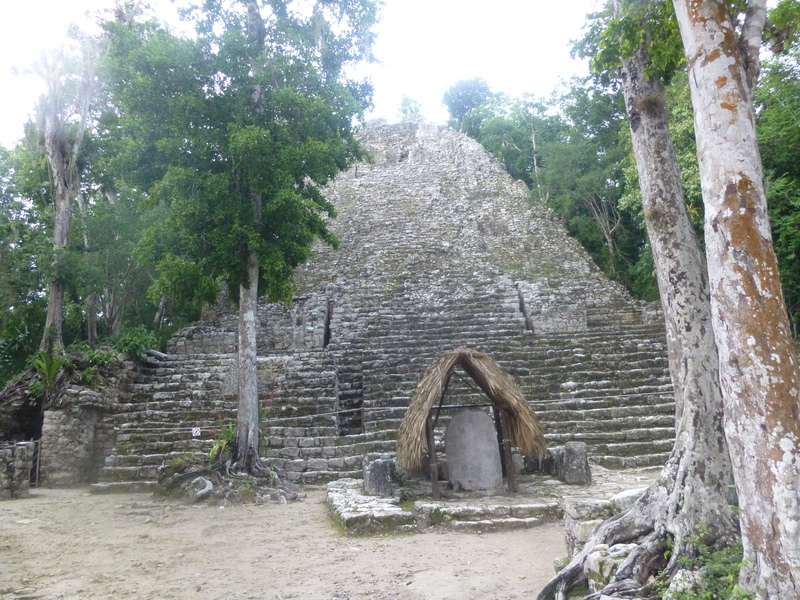 However, Coba also has several large pyramid temples, including the main temple, Ixmoja, which brave visitors can still climb (at the time of writing). We started off at the two ballgame courts and a smaller church pyramid near the entrance. Unfortunately, it started pouring rain soon after we arrived and I thought our visit would be ruined. Luckily, there were scores of rickshaw drivers offering rides to the main pyramid for only 120 pesos. I happily paid and hopped on board the covered seat. 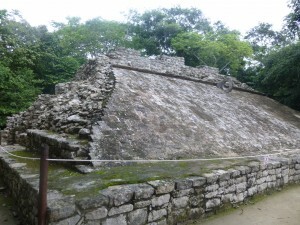 As we rode down the long, gravel path we stopped at various structures for me to take photos. After about 10 minutes, we arrived at Ixmoja, the tallest pyramid in the Yucatan standing at 138 feet tall. 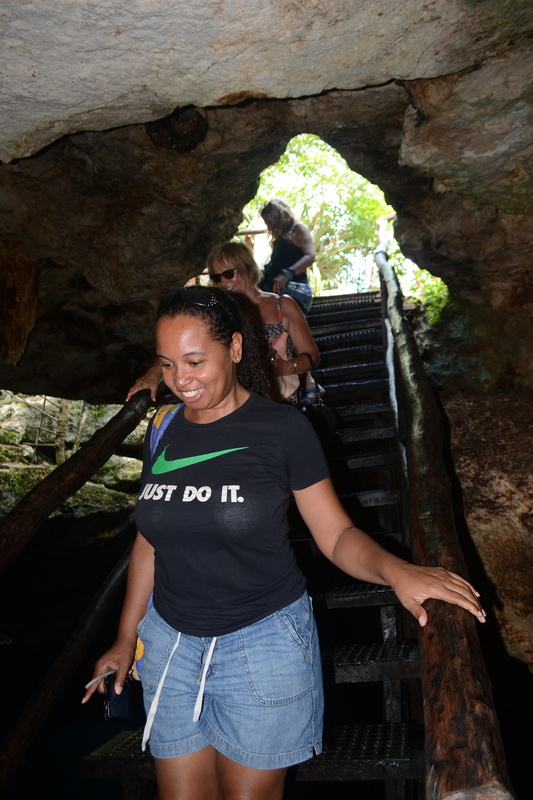 While there were many brave souls making the 120-step hike to the top, my fear of heights and the slippery conditions made me decline. I hated to miss what I’ve heard are incredible views at the top, but nonetheless it was amazing to see this ancient temple still standing. Interestingly, only 2% of the site has been excavated so one can only imagine what other secrets lie behind the jungle. After a long and interesting day, we made it back to Cancun around 6:00 p.m. Our guide Riaz was very informative and we had good conversation about a variety of topics, including the history of Alltournative and its mission of providing tourist-based economic sustainable development to the various Mayan communities. 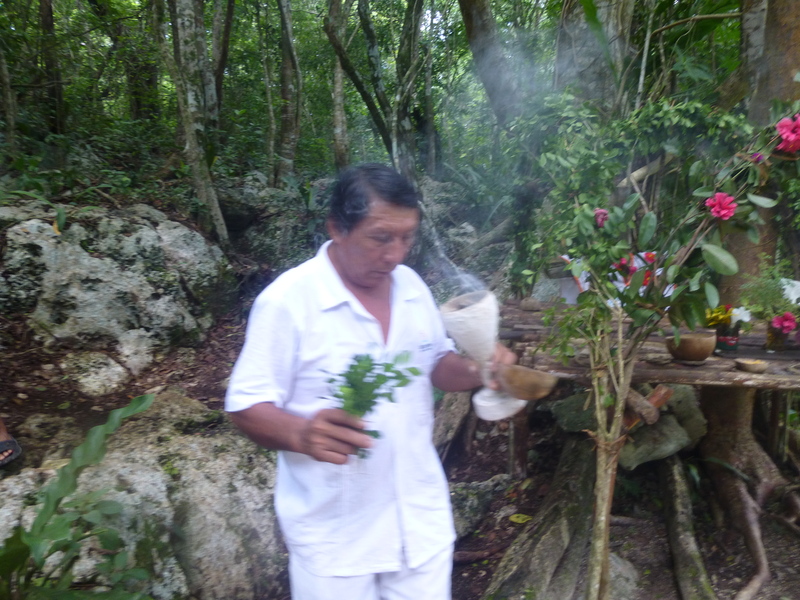 I enjoyed being a firsthand witness of their efforts to preserve the environment and support the local people. 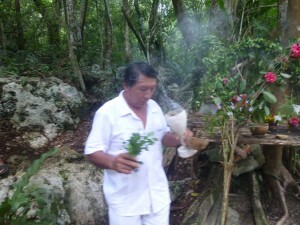 Have you visited any of the Mayan ruins or communities in Mexico? If so, please share your experience below. ** Thank you to Alltournative for providing this tour gratis. 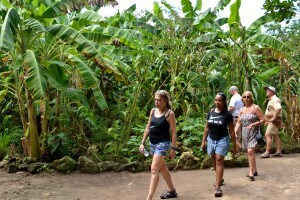 According to their website, Alltournative supports three sustainable development projects involving six different communities, turning those areas into protected natural sanctuaries. 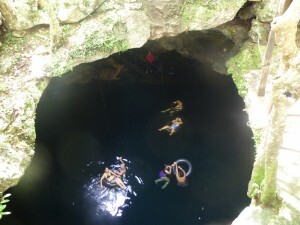 They offer a variety of eco-tours throughout the State of Quintana Roo.